Product #431 | SKU Z-ZUK | 0.0 (no ratings yet) Thanks for your rating! The Zgrip Upgrade Kit includes 2 zgrip v3 handles, with allen screws and an allen wrench. The Zacuto Z-ZUK is a ZGrip Version-3 upgrade kit for shoulder mounting (V3) support. 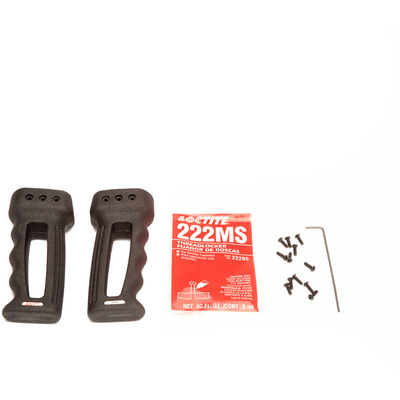 The V3 grip design is a larger robust design that rests on the operator's fist to add greater stability.